Not widely available but has wow factor with glossy deeply cut fern like foliage. 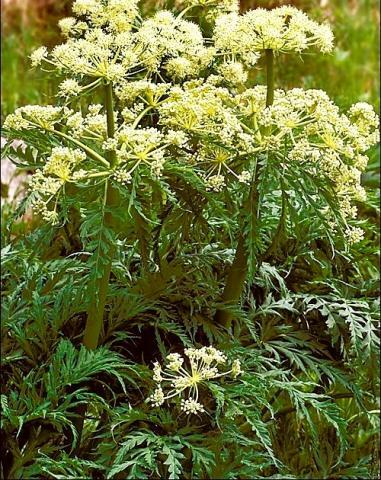 Large umbels of green/cream flowers early summer. 1.2m tall. Shade and can tolerate drier soils.